All Malapai Ridge Estates homes currently listed for sale in Paulden as of 04/23/2019 are shown below. You can change the search criteria at any time by pressing the 'Change Search' button below. If you have any questions or you would like more information about any Paulden homes for sale or other Paulden real estate, please contact us and one of our knowledgeable Paulden REALTORS® would be pleased to assist you. "Valley Views! 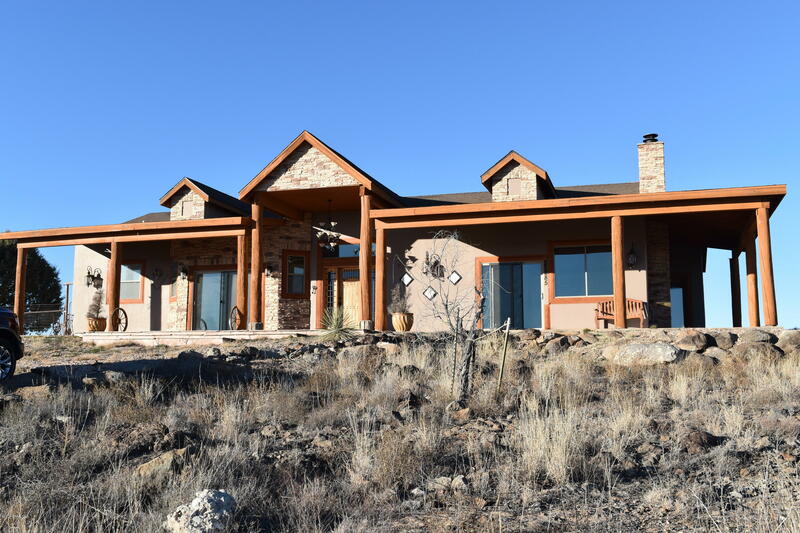 This custom home is beautiful and sits on a hill with views of the surrounding mountains. Granite counter tops, stainless appliances, travertine floors and has a great room with a wood-burning fireplace. A total of four bedrooms and three bathrooms. This home has an attached 3 car garage with an additional second garage or workshop area. The home sits on 2.82 acres and is perimeter fenced. Located just north of Chino Valley."